The cakewalk was a dance style of obscure origins, but is generally attributed to African Americans adapting formal European dances. 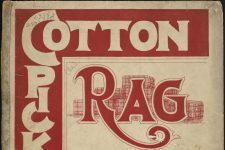 It was popular in the late 19th century among African Americans and in minstrel performances, and caught on in white society during the early 20th century. 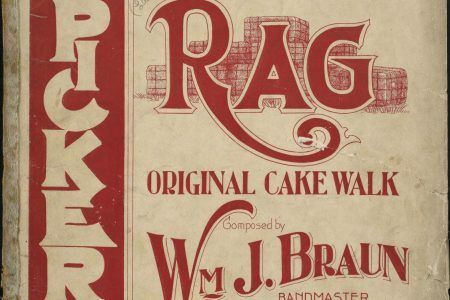 Cakewalk compositions and dances were performed by dance bands and orchestras in New Orleans as part of their repertoire geared towards the tastes of older audiences. 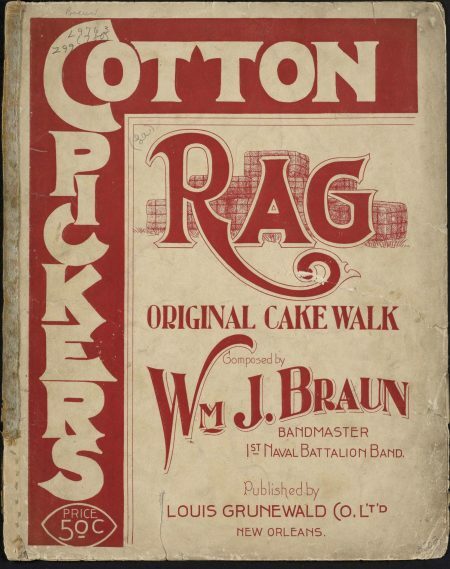 Cakewalks were contemporaneous with the development of New Orleans ragtime/jazz. 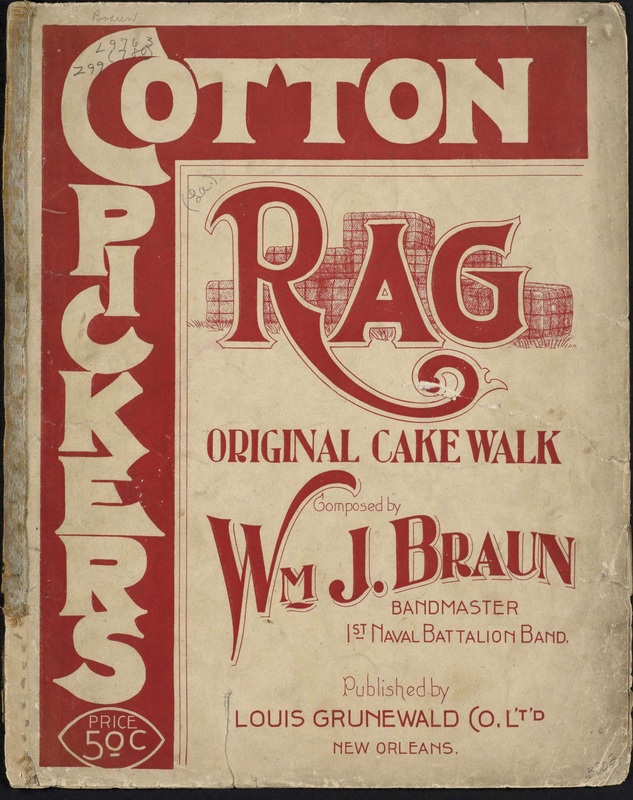 In 1899, for example, Louis Grunewald published “Cotton Pickers Rag: An Original Cakewalk,” by the New Orleans composer William J. Braun. The introductory melody of Ben Harney’s “The Cake Walk in the Sky,” also published in 1899, is the same theme as “St. Louis Tickle” and Jelly Roll Morton’s “Buddy Bolden’s Blues,” suggesting the influence of cakewalk compositions on early songs in the new jazz style. Video of a cakewalk performance from early 20th century. Filmed at the Biograph New York City studio. Copyright: American Mutoscope & Biograph Co.; 11 May 1903; H31674. This footage is from The Spriit Moves: A History of Black Social Dance on Film, 1900-1986, a documentary film by Mura Dehn. It features the Cake Walk, danced by Leon James, Al Minns, and Pepsi Bethel.